The LM34CAZ is the most accurate version of the LM34 precision temperature sensor made by Texas Instruments. 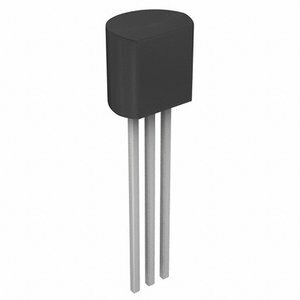 It has a very convenient output of 10mV per °F, so 0.78V would correspond to 78°F. The LM34CAZ is the most accurate version of the LM34 precision temperature sensor made by Texas Instruments. It has a very convenient output of 10mV per °F, so 0.78V would correspond to 78°F. The LM34CAZ is the most accurate version of the LM34 precision temperature sensor made by Texas Instruments. It has a very convenient output of 10mV per °F, so 0.78V would correspond to 78°F. This sensor is not manufactured by LabJack, so the LM34 datasheet is hosted by Texas Instruments. Some soldering may be necessary to add length to the sensor wires.